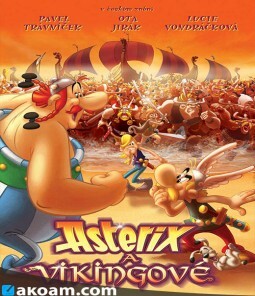 After a brief introduction to the principal characters, the film follows Asterix as he encounters a group of Roman legionaries in the forest. Despite being significantly outnumbered, Asterix leaves the Romans beaten and bruised for daring to interrupt his wild boar hunt. Their state upon their return to camp prompts the leader Phonus Balonus to seek the secret behind the Gauls' seemingly superhuman strength. Phonus selects a volunteer (by means of a single round of musical chairs) to pose as a Gaul in order to infiltrate the village; the unlucky loser is a short, slack-tongued misfit named Caligula Minus. He is dressed in a wig, false moustache and traditional Gaulish dress and led in chains through the forest as a prisoner, awaiting rescue by the Gauls. 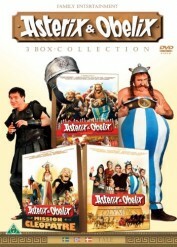 Sure enough, Asterix and Obelix free Minus and believe his flimsy cover story that he is a Gaul from Belgium. 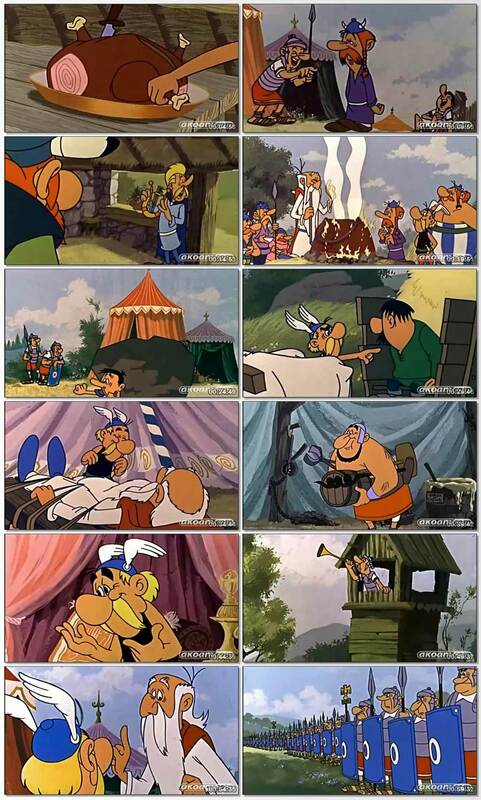 Once inside the Gaulish village, Minus goads Asterix into sharing the secret of the magic potion with him; he goes on to use the same tactic against Getafix in order to try the potion for himself. 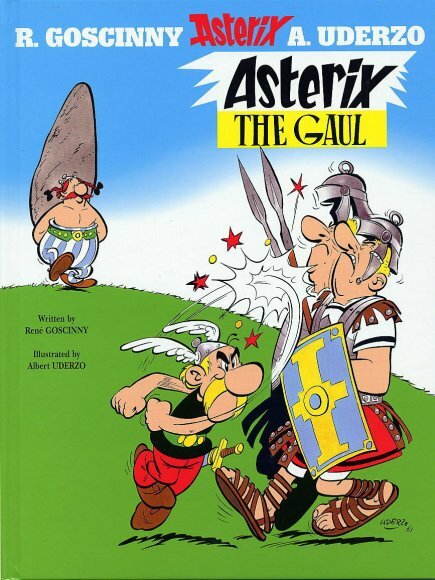 Before he has a chance to steal some of the potion to take back to the Roman camp, Minus' cover is blown during a traditional dance; Asterix pulls off Minus' moustache. Still empowered by the magic potion, Minus makes good his escape, with the Gauls powerless to stop him. 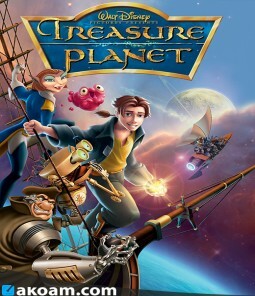 Minus is debriefed by Phonus Balonus, who on learning of the magic potion orders his legionaries to capture Getafix and bring him back to the camp. Getafix is later ambushed by the Romans while he is out collecting mistletoe, but refuses to divulge any of the secrets of the magic potion to Phonus. When Getafix fails to return to the village, Asterix goes into the forest to look for him where he encounters a slow-witted merchant with a dilemma over his oxen. After benefiting from Asterix's common sense the merchant agrees to take him to the Roman camp on his cart, hidden in a pile of hay until nightfall. 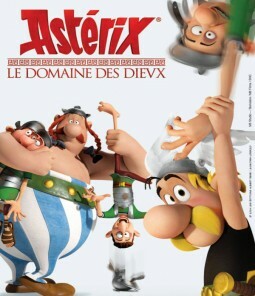 Having infiltrated the camp, Asterix locates Getafix and forms a plan to free him. He seemingly surrenders and convinces the Romans that he and Getafix will co-operate at the prospect of being tortured; Getafix is then escorted by legionnaires as he collects the required ingredients for the potion in the forest. Unable to locate strawberries (since they are not in season), Getafix orders the Romans to search far and wide for them. When an exhausted legionnaire returns with a basket of them from Greece, the Gauls proceed to eat them all and request that some more be sourced. This drives the Romans to despair; Getafix quickly relents and prepares the potion without strawberries. Believing that the potion Getafix has made is the same as that which gives the Gauls their strength, the Romans drink it and discover to their dismay that it is in fact a hair-growing formula. The entire legion is soon at the mercy of Getafix as their hair and beards grow out of control, rendering them practically helpless. Getafix claims that he can reverse the effects of the first potion by making another; with the Romans' distracted he collects the ingredients for the real magic potion, which he makes just for Asterix. 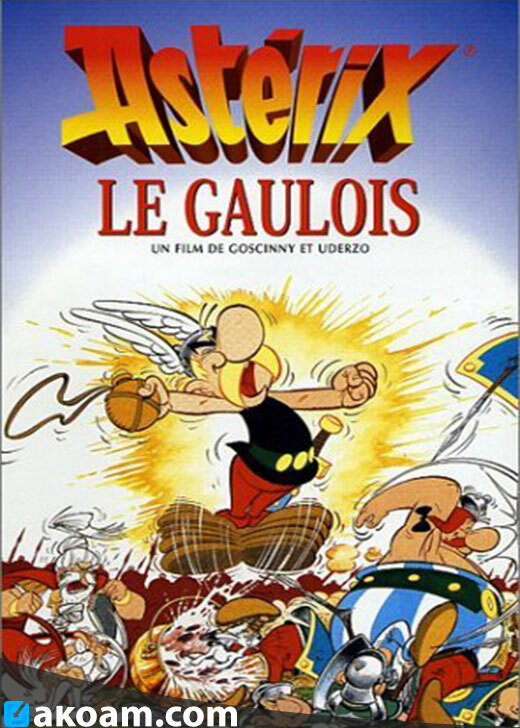 Just as the pair begin to overpower their captors, Phonus receives a surprise visit from Julius Caesar who – dismayed by the state in which he finds the camp – relieves Phonus of his duties and awards Asterix and Getafix their freedom.